My last couple of tomato paste washes have fermented out pretty slowly due to the cooler weather. I thought Id try a different method and post the results here as it ferments. As can be seen by the photos I have three washes going, each one is 27 liters. The fermenter barrels are all sitting on plastic crates and are sitting as close to each other as possible, they all have a good layer of old blankets under them for insulation. 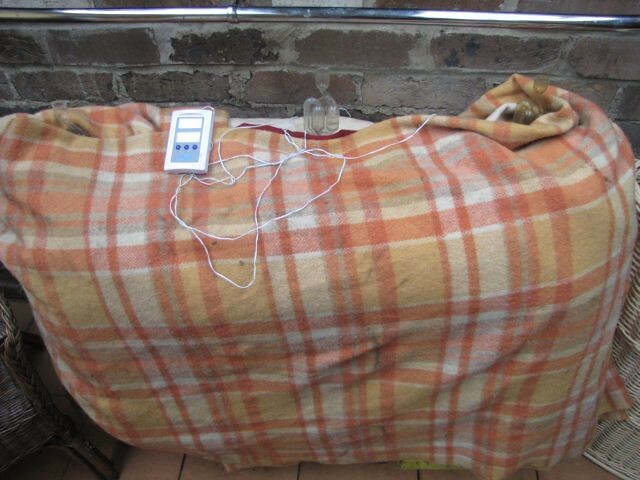 The plan is to use a small electric blanket to keep them at a constant temp of around 28-30c and more old blankets as insulation. 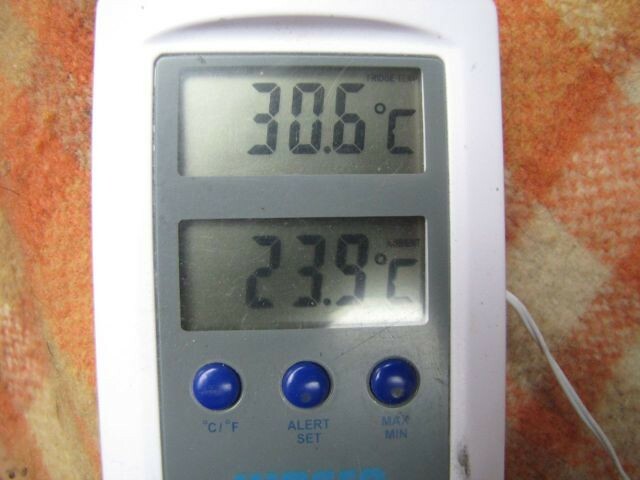 I have a digital thermometer set up to give two readings, one for ambient air temp and the other is from a probe which is tucked down in the air space between the barrels. All three washes were put on yesterday Sat 23rd at about 11.30am. Yeast was pitched at approx 32c there was a bit of difference between barrels. Air temp at that stage was 26c All washes were bubbling within ten mins. Left the barrels as they were until 5pm when the air temp started to drop quite a bit. Barrels were at about 32 -33c at this point. Wrapped 2 small blankets around the barrels for the night, they are not individually wrapped. 6am Air 18.2 Wash 27.5 Just the occasional "Bloop" from the three fermenters today. 8.00 pm Air 19.2 Wash 26.4 Two fermenters have stopped one gives a bloop every few minutes, Turning off the blanket as I dont think its worth using power to get 1 bloop every two mins from one fermenter. Last edited by SBB on Sat Apr 30, 2011 8:12 pm, edited 2 times in total. Thanks for that Maheel, for some reason I thought those fancy little boxs were worth much more than that. I probably still wont buy one as Id have trouble finding a fridge big enough to hold the amount of wash that I want. Eventually I want to use a 220 Liter food grade barrel I have to ferment in, and was hoping that the method Ive used here would be suitable. So far it has worked as well as I hoped it would, Temps have stayed far more stable than my previous washes and fermentation time has been much quicker. (hopefully not to fast) From what Ive read 7 days is about the right period of time for a tomato wash. I already owned everything used so it cost me nothing to experiment. you could make a big plywood "box" or some other suitable "box?" and use that and a TC to control the warmth easy enough and maybe a fan could pull in air if you needed to move some heat. Another old thread I know, but some places that make cool rooms, sell off-cut pieces of panels rather cheap, and its easy to build a box only requiring some aluminium angle, and pop rivets, should be able to knock up something flash in a day. I bought some of these panels years ago to build an esky, cost me $40 for all the bits. i have seen a few build small "walk in" cool rooms / fermenting rooms out of the panels and use a window box air-con to cool and heat the whole thing. Sorry Folks...all good ideas Im sure...........but I think Ill stick to the KISS method............it works for me. A: It folds up to almost nothing if not in use. B I can make it bigger or smaller at a moments notice..
C its cheap and I dont have to build anything. Can you fit a 200L fermenter in it ?????? 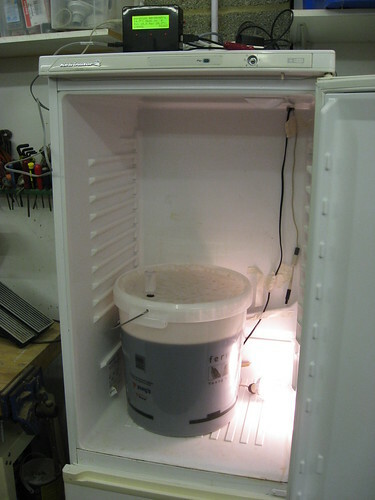 I use an old fridge to ferment in using the STC-1000 controller. I've got a 15W aquarium heater which is in a 2.4L berri bottle and I'll put that against the wall of the fermenter to keep things warm. 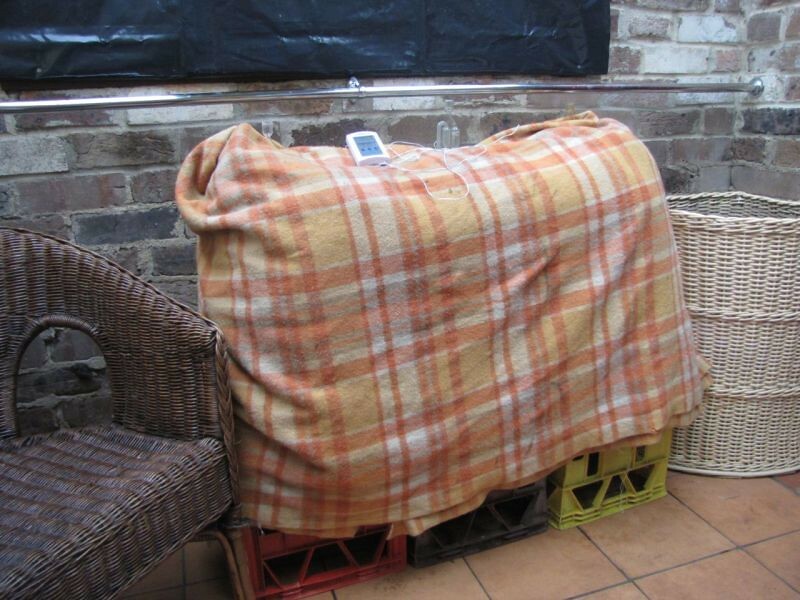 The addition of a blanket or something similar just helps reduce the impact of the outside temp. After the wash is fermented - do you guys chill it down for a few days to help all the particulates clump and drop out of suspension? SBB wrote: Can you fit a 200L fermenter in it ?????? EDIT :)) maybe I could just stop the lid light from turning off and fill er up that'd be 6 to 800 ltrs :icon-lol: :icon-lol: :icon-lol: :shock: hey with a drain :-? 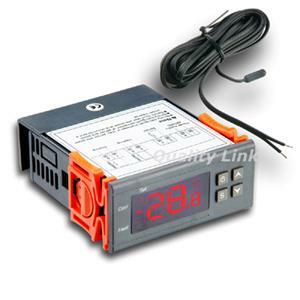 how does that temp controller connect to the fridge to controll the temp???????? 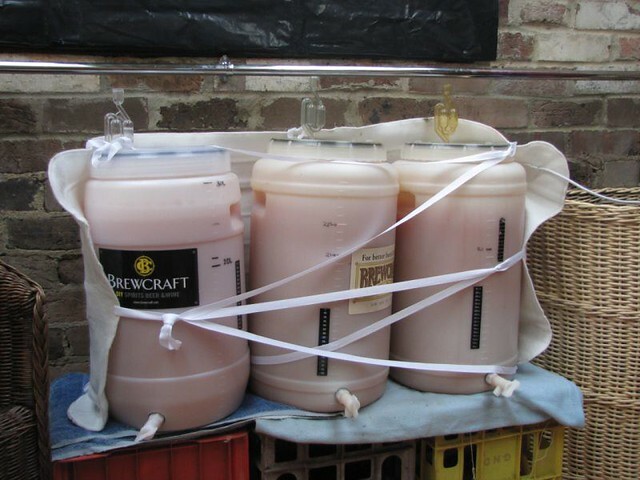 PURE distilling Reflux still + a tonne of homebrew gear amassed over 10 years of brewing.